Karen L Messick Photography: Be Creative Like a Child, The genesis of these images..
Be Creative Like a Child, The genesis of these images..
John Paul Caponigro posted a blog challenging us photographers to be more like children, with our creativity. That idea struck a little chord with me. I also had on my mind the great artwork of Robert McClintock, who uses photoshop to alter his photographs dramatically. I love color and I just loved the colors of the grape clusters in different stage of maturity. 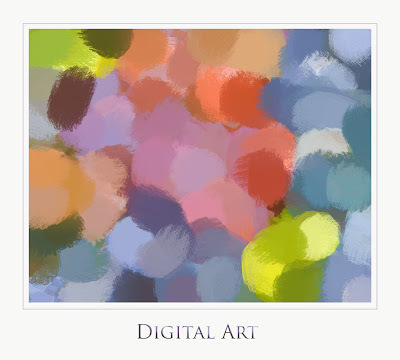 When I was at Boordy, I made several images of just the colorful grapes. I thought they might make a cool start to that thought of child play. 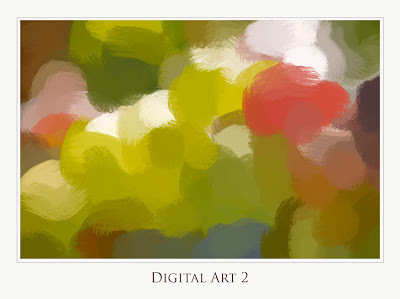 So I used the art history brush on the grape images, like I used Etch a Sketch when I was a kid. I grabbed a brush out of the brush tool selection and started brushing out the photo detail while brushing in the colors as abstractions. I liked them, call me crazy, I don't think I'd call them a photograph anymore, but it was fun playing like a child and creating. I am not sure this is what he had in mind, but it was fun!